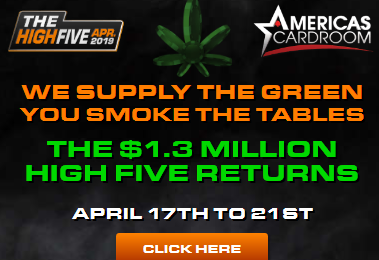 On July 3rd at 3PM ET Americas Cardroom is more than doubling their guarantee on their signature $215 buy-in Sunday major! Players start with a 10,000 chip count, enjoy 15 minute blinds and will compete for their share of the $240,000 guaranteed prize pool. Existing players can enjoy a special 100% Reload Bonus (up to $240) to get ready by using the code: JULY4 (July 1st-4th). Americas Cardroom will be running numerous satellites to the $240K Sunday Special this coming week, including a 50 seat mega-satellite.